Clovis on the Housing Hook? Millions at Stake. Clovis Housing At Odds with State? The Clovis council hears a report tonight (March 12) about how the city is complying with state housing mandates. The short answer: they are not. And, it could cost them more than $2 million in state funding. The city is short 4,425 housing units. To make up the deficit, the city needs 177 acres of housing zoned as Very-High Density (25-43 units per acre) within city limits. “The current Housing Element was adopted by City Council in April of 2016. In this housing element, Clovis committed to a rezone program for the unaccommodated 4,425 units to be completed no later than December 31, 2016. That deadline was not met,” reads the staff report. The numbers reflect state mandates that covered the 2007-2012 period. As a result, Clovis must submit progress reports for 2016 and 2017 to the state. Some of the consequences the report lists: the state could deem Clovis’ general plan out of compliance. The city could be leaving itself exposed to legal challenges for approving housing projects. Also, the city could become ineligible for $2.7 million in state housing funds. “The City is working on creative solutions to meet the state requirements on the state’s housing mandate,” Andy Haussler, the city’s Community and Economic Development Director said. The report does have a silver lining. Seven projects are in various stages of the building process. The land south of Sierra Vista Mall is one of the projects where apartment complexes are currently under construction. 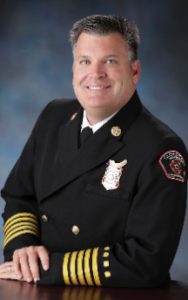 Clovis Fire Chief John Binaski (photo: City of Clovis). Clovis Fire Chief John Binaski delivers his yearly report to city council tonight (March 12). He admits that service has been slower as of late, but says the city’s growth stretches his department’s resources. “We’ve had significant growth. We now need to have the public safety behind it. We are playing catch-up,” Binaski said. Average First Unit arrival times for EMS were 7:17. The goal is 6:30. The First Unit arrival times for MVA/Rescue were 7:24, 24 seconds off the mark. “Our times have diminished, with the growth,” Binaski explained. He says fixing the southeast area of the city will improve performance. Help is coming, with the planning of Fire Station 6 on the south side of Shaw Avenue, between Leonard & DeWolf. The city council is scheduled to vote on purchasing the 2.96 acres tonight, for a price of $845,000 from a group of property owners. The city then plans to build a new fire station and other government buildings (examples listed include a post office and library). Binaski said he would also like to see gradual improvements for the remaining fire stations in Clovis. Fresno Councilman Luis Chavez has an idea to create more jobs and businesses in his district along the Kings Canyon/Ventura corridor. He will present his Support Small Business Act for the Fresno Chamber Government Affairs Council to hear. It takes place at their monthly meeting Wednesday (March 14) at their office. “This is will be an engine driver for jobs,” Chavez tells GV Wire. Laying out the details, Chavez says this will like the incentive package the city offered to Amazon, but at a smaller scale. He wants businesses to move into either empty plots of land or vacant storefrotns. If an entrepreneur does so, the city will offer reimbursements on impact fees, infrastructure fees, taxes and licenses. The amount of incentives is proportional to job creation. Chavez expects council to hear his proposal on March 22 or April 5. For a Fresno city/county list, click here. An official list of candidates for state and federal offices will be released by March 29. Last week, Valley businessman T.J. Cox announced a challenge to incumbent Republican David Valadao for the U.S. Congress in the 21st District (centered in Hanford). 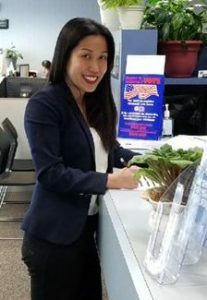 Elizabeth Heng, a one-time congressional staffer in Washington, filed to run against Jim Costa in the 16th district. Heng is a Republican; incumbent Costa is a Democrat. In 2014, The Hill named Heng one of Washington’s 50 Most Beautiful People. 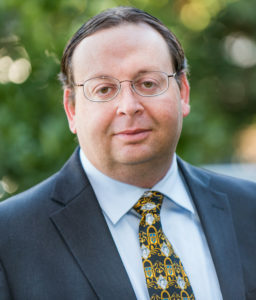 Hanford Councilman Justin Mendes said he will run for Assembly against Democratic incumbent Rudy Salas in the 32nd district that covers all of Kings County as well as Bakersfield. 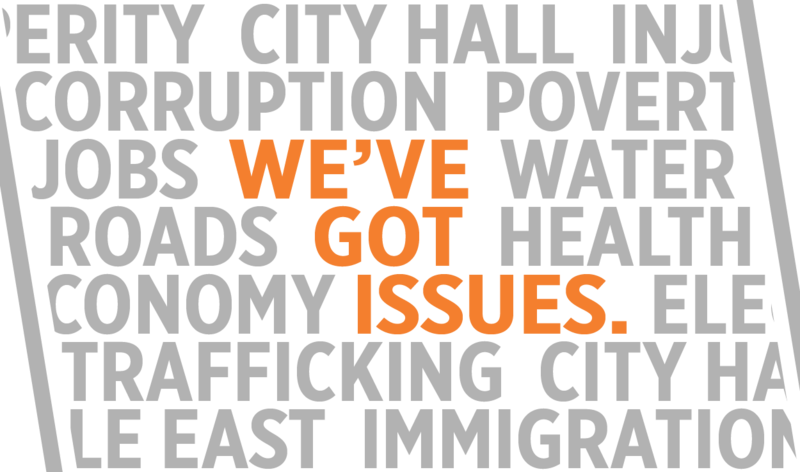 The Black Action PAC held the second in their series of forums speaking with city council hopefuls. Last week (March 9), the three District 7 hopefuls: Nelson Esparza, Veva Islas and Brian Whelan shared their views. The three candidates answered questions on the potential of ICE raids, developing the economy, and environmental concerns. State Democratic Party chairman Eric Bauman visited Fresno Friday night, for the Women in Action dinner. Bauman also tweeted that he stopped at Chabad Fresno for Friday Shabbat services. That is news to Rabbi Levy Zirkind, who doesn’t recall seeing him. According to a party spokesman, Bauman missed his religious enrichment because of traffic on Highway 99, but did make the dinner. No word if he had the kosher meal. An excellent read: a long-form profile of Devin Nunes by Jim Geraghty of National Review. It details his inauspicious start in politics, his rise in the GOP ranks, and the reality vs. fantasy now that he is in the national spotlight. 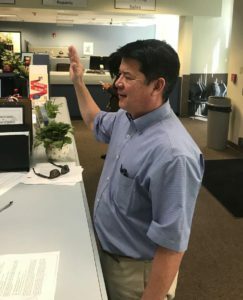 Who’s on the Ballot in Fresno? Sheriff Mims & DA Smittcamp Go Unchallenged. Want to Shed Jobs & Hurt Consumers? Impose Tariffs.